Review: Would you ever think a story about boys who go through garbage would be interesting? 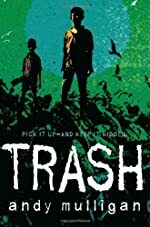 Trash is better than the average book about dumpsite boys. 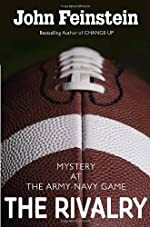 Andy Mulligan has written a very suspenseful non-series novel about kids that venture through several towns and meet many interesting people after rummaging through Trash and discovering something "important". The main characters are Raphael, Guardo, and Rat (Jun Jun). Raphael has found something that is very valuable in the Behela dumpsite, so he decides to keep it even though the police question him about possessing it and offer him a very handsome reward. He finds that his decision was definitely the wrong decision to make! Just like his friends, he is uneducated, and has minimal shelter and money. The teens travel around to escape the police. While travelling, they also uncover mysteries about robbery and death. Their adventures take them through various fascinating places including a police station and a prison. Each adventure gives them new experiences and teaches them about life. In the end Raphael realizes some of the things he did were well worth it. This novel symbolizes how you can always work through tough times. The boys have countless exhilarating adventures in a life of poverty. The story is very suspenseful and Andy Mulligan did a terrific job transitioning through chapters. Trash is easy to understand and I never got lost. 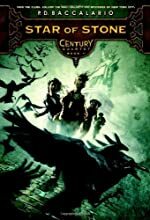 The book flows nicely through all of the crazy adventures and the author uses very expressive dialogue which makes you feel like you are at a movie. I personally like how he uses different narrators in each chapter. It helps to show different points of view of the adventures. One thing I did not enjoy is that numerous characters enter and exit the story without a sufficient explanation. I recommend Trash to anyone 10 and older, especially if you like mysteries or adventure- type novels. I rate this book a 9 out of 10. We would like to thank Random House for providing a copy of Trash for this review. Have you read Trash? How would you rate it? 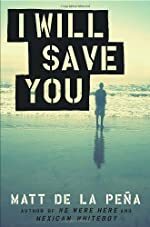 Review: A thought-provoking story of an adolescent's journey of self-actualization is told in Matt de la Peña's I Will Save You. Kidd is broken and alone - trying to escape from his past and keep from the dangers the future might hold. His best friend and worst enemy is Devon. Devon embodies everything that Kidd is not. He's mean, dangerous, and aggressive. Whenever Devon's around, Kidd's life is turned upside down. The one semblance of normalcy is Olivia - the beautiful girl Kidd meets at the beach, a girl with her own secrets to hide. Kidd is living and working on the beach with Mr. Red - a boyfriend of a former therapist Kidd had at the home. Unbeknownst to Mr. Red, Kidd was not released from the group home, but instead he's escaped. Kidd is a hard-worker, and he enjoys working beside Mr. Red cleaning the beach area and fixing things, and Mr. Red enjoys it too because Kidd fills a void in his life. Everything seems to be going just fine for Kidd - in fact it is going better than fine when he meets Olivia. But, Kidd is evidently not meant to be happy because just as soon as his life starts to go right, Devon shows up. Devon is the kind of boy that Kidd's therapists warned him to avoid. Devon is destined to destroy whatever makes Kidd happy, and right now that is Olivia. Kidd is determined to not lose the life he's built at the beach, so he must stop Devon. But, in doing so, he might just destroy everything. I Will Save You is an inspiring story of a boy who has faced the worst life has to offer, but who is determined to not let it keep him down. 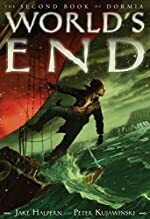 Matt de la Peña tells Kidd's story through journal entries, lists, and traditional storytelling making for an engaging read. Although it can become difficult to follow the story at times since the journal entries and storytelling tend to jump through time, placing events out of order. However, readers will not be disappointed. Kidd is an exercise in character study. His complexity is what draws readers into the story. On the outside he's like any other boy, but on the inside he is struggling with a sense of hopelessness, depression, and mental illness. Each supporting character is equally complex. Even the "perfect" Olivia is far from perfect and harboring a secret. Through Kidd's interaction with Mr. Red, Olivia, and even Devon, readers can see that in spite of the engulfing depression Kidd faces day to day, something else hovers within reach - something called hope. I Will Save You is not only a worthy read for young adults, it would also be an excellent text for any psychology student. It is not a story readers will easily forget. We would like to thank Random House for providing a copy of I Will Save You for this review. Have you read I Will Save You? How would you rate it? 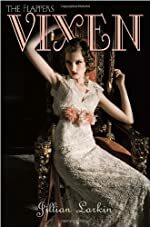 Review: I very much enjoyed this story of a person who overcame frustrations and challenges that stood in their way on the path to accomplishing their dreams and ambitions. I also enjoyed the fact that some people are able to overcome hard times and achieve so much success and yet are humble, kind, and outward focused despite the doubtfulness they receive for their hard work they do. Such a person is Marian Anderson, a famous "vocalist who had been applauded by European royalty, welcomed at the White House, and adored by appreciative listeners in concert halls across the United States. But because of her race, she was denied the right to sing at Constitution Hall, Washington's largest and finest auditorium." Her story is told in the Newberry Honor book, The Voice that Challenged a Nation: Marian Anderson and the Struggle for Equal Rights by Russell Freedman. 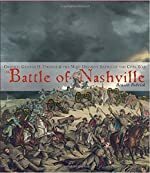 There is no series, but this isn't the first book from Russell Freedman, nor is it by far the first book about the struggles for equal rights. The main person in this book is Marian Anderson, and what amazing accomplishments she made for equal rights. Marian Anderson not only had to face many problems herself, but astonishingly she helped other people with their racial related problems. She had to overcome people doubting her ability to make all rights equal. But little did everybody else know, Marian was one day going to make at least something happen. The way she helps others with their racial related problems was by actually fighting for equal rights. However, in the end, Marian Anderson made a huge movement towards equal rights for all citizens. I was very impressed with the strength of Marian's character in the face of injustice. She quietly asserted herself while remaining dignified and charitable to others. This book contains many quotes and pictures that vividly illustrate the kind of person Marian were. I liked how she incorporated her singing into the equal rights moment. I think this author really did get into how he and Marian would feel if they were in the same situations. I also liked how the author specifically added every aspect of her life to the story. I would definitely recommend this uplifting book filled with hope, strength, and exciting moments, to older and younger readers. It will surely fill you with hope as you see how much one person can really make a huge difference, and maybe it would inspire someone else to do something to make a difference, if they just believe and try hard enough to achieve their goal. 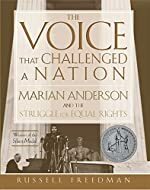 We would like to thank Houghton Mifflin Harcourt for providing a copy of The Voice that Challenged a Nation: Marian Anderson and the Struggle for Equal Rights for this review. Have you read The Voice that Challenged a Nation: Marian Anderson and the Struggle for Equal Rights? How would you rate it? Review: Romantic! Epic! A twist in every chapter! Dash & Lily's Book of Dares is a must read if you are into romantic, funny, heart-warming, clever and witty novels. The book is a heart-touching romance between a boy and a girl, (Dash and Lily) that are at first complete strangers that meet through a red journal Lily purposely leaves behind at a favorite store of hers. 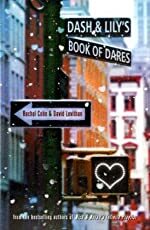 This is a brilliant book written by too fantastic authors, Rachel Cohn (author of Lily's chapters) and David Levithan (author of Dash's chapters.) 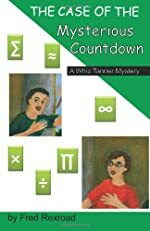 This story isn't continued in another book, but there is a series of other similar stories by the same authors, such as Nick & Norah's Infinite Playlist . The novel consists of two main characters, Dash and Lily, your average16 year olds. 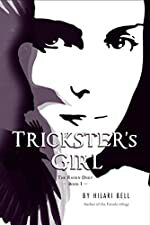 During a time period of 10 days, the two clever teenagers exchange a red notebook notebook containing information on their own lives, and other stories and adventures, never revealing who they are, until Lily panics and accidently takes the book home with her, leaving Dash with no possible way of finding her - so she thought. Unsuspectedly on December 27th while Lily's about to dive into her first kiss with Edgar Theobald, out of the corner of her eye, she sees a young man who identifies himself as Dash, walk into her unclear drunken vision. They meet up in a park, a few days after their first encounter. One event leads to another and before they know it they are in the back of a squad car being taken downtown. 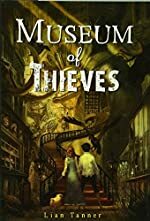 After being released from jail on New Year's Eve, they go onto an adventure in the Strand, (a book store) and find themselves locked in the storage room, in a basement trapped together for the rest of the night. This book is definitely a book suited for mature readers; curses and other inappropriate sayings or words are commonly used in the text. But the book is still entertaining, clever, and easy to read. The characters of Lily and Dash have a lot and common and are the perfect match for each other. They have great chemistry and click easily. The book leaves you wanting more and lets you into the lives that these two adventurous teens live and fulfill. 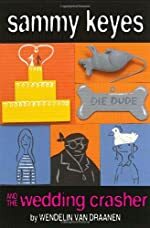 The voices and narrations of Dash and Lily fit there personalities perfectly; the authors do a great job describing them and their own life styles, so the book makes more sense to the readers. Some things that I liked about the book were how there are two different narrators to keep the book interesting and upbeat, and under every chapter title was the date which shows the progress and time of the two characters' lives. The book was hard to put down and one of my favorite books. I recommend it to everyone. We would like to thank Random House for providing a copy of Dash & Lily's Book of Dares for this review. Have you read Dash & Lily's Book of Dares? How would you rate it? Review: Rags and Riches: Kids in the Time of Charles Dickens is by Mary Pope Osborne. This nonfiction book goes along with Magic Tree House: A Ghost Tale for Christmas Time. This book describes the poor working conditions, the terrible jobs, and the terrible illnesses during Charles Dickens' times in London. 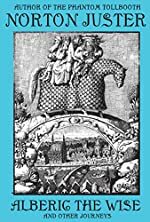 In the eighteenth century in London, England, kids and adults, rich and poor were walking in the dangerous, hazardous streets, in search of money. All the boys who had jobs were either a chimney sweeper, mudlark, trapper, drawer, factory worker, cloth maker, or a costermonger. If you were desperate for money you would steal money right from people's pockets. A journalist once wrote that in 1856, London police arrested over 73,240 people for stealing money. The working conditions of most jobs caused horrible lung diseases by the pollution, smoke, and smog. The match factories produced a dangerous substance called phosphorus. Phosphorus is a chemical that lights up in the dark. In the chemical, the fumes caused a disease called phossy jaws which rotted many of the workers' jaws. As soon as the nineteenth century began, London began changing with the rest of the world, and started to improve the working conditions, put in safer equipment, and make factories safer. In the end of the book, there was a happy ending because the people of London were experiencing working conditions that were better to work in than before. I would give this book 4.5 out of 5 stars because it was very intriguing to read about people of the eighteenth and nineteenth century from London, and about their horrible working conditions and how the conditions improved for the better. That is why I liked Rags and Riches. Review written by Sam (5th grade student). 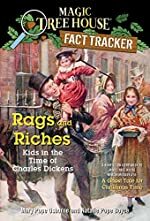 We would like to thank Kane Miller for providing a copy of Rags and Riches: Kids in the Time of Charles Dickens for this review. Have you read Rags and Riches: Kids in the Time of Charles Dickens? How would you rate it? Review: Gigantic amounts of gold, a mysterious clue about where it's hidden, and an extremely brave thief. Does this intrigue you? This is only a glimpse of what Hacking Timbuktu is about. Stephen Davies has written a brilliant novel about stealing, hacking, parkour, and chasing. This non-series book focuses on the characters Danny Temple and Omar (Grimps) Dupont as they go on many thrill-seeking adventures. Tons of gold has been stolen by Akonio Dolo. Several members of KOAD or the Knights of Akonio Dolo have unsuccessfully been trying to recover the hidden gold for many years. Then, pro praceurs Danny and Omar attempt to get the treasure, but the only clues left are number squares. Unfortunately, they have been taken from the Timbuktu computer by Moktar Hasim, the leader of KOAD. One of their journeys leads them to meet the Dogon street boys who play a strong part in helping them travel safely through the caves. After traveling around through many adventures, Danny eventually thinks the stash of gold has been hidden in a cave where the Dogon bury their dead. As he explores the cave, he stumbles upon a secret door that reveals something that instantly changes Danny's mood. Stephen Davies does not disappoint us in his writing of this novel. The vividly described action makes you feel like you're actually participating in everything that happens in the story. Each of Danny and Omar's exciting adventures help lead the reader to the ending. Every adventure they experience keeps the reader on the edge of their seat wanting to find out what they will do next. Stephen Davies wraps up the story brilliantly with an unexpected ending in a way no one could have guessed. There are many different aspects of the book which most people can relate to such as gymnastics, action, history and battle. One thing I didn't enjoy was, considering how frequently the boys travelled, it was unclear as to exactly what country they were in at times. Also, French and Arabic terms and phrases are used throughout the book. Some examples of these are salam alaykum (an Arabic greeting) and mon ami (french for my friend). 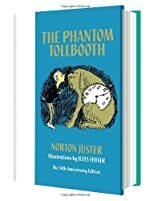 I recommend this book to anyone age 11 or older because of the novel's in-depth adventures and use of different languages. I rate this book a strong 9 out of 10. We would like to thank Houghton Mifflin Harcourt for providing a copy of Hacking Timbuktu for this review. 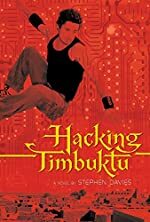 Have you read Hacking Timbuktu? How would you rate it? Review: Calvin Coconut: Zoo Breath is the fourth book in the Calvin Coconut series. 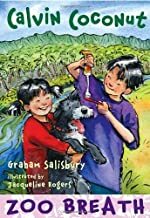 Author Graham Salisbury writes about a boy named Calvin who lives in Hawaii with his mom, younger sister Darcy and sixteen year old sister Stella. Calvin has recently gotten a new dog named Streak that has terrible breath. Now Calvin is afraid that his mom will make him give her away. What happens in this book is Calvin and his friend Julio have to do a science project for school, so they decide to study stinks! They study the stinks of dog breath, a toilet hole, dead frogs, and many more. However, there are some spies in the story that try to make fun of Calvin and Julio's science fair project. Will they cure Streak's bad breath or will Calvin have to return her to the humane society? As you read you might find some surprises along the way. 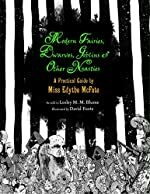 I think that this is a great book for kids ages 8 through 10. I would definitely recommend this book to other students. They would have a good time reading this hilarious book, especially if you like stinks! You might find some surprises along the way. Make sure to pick up Calvin Coconut: Zoo Breath at your library today! You would never believe how fun it is to read a book so stinky! Review written by Hayley (5th grade student). We would like to thank Random House for providing a copy of Calvin Coconut: Zoo Breath for this review. Have you read Calvin Coconut: Zoo Breath? How would you rate it? Review: Centuries ago, Gallowglass were elite foreign military soldiers. Really, a person couldn't do better than to have a Gallowglass for a bodyguard, because they would suffer greatly themselves to protect those they served, they would die if need be while upholding honor. 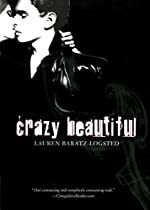 Aurora's Gallowglass comes in an unsuspecting boy with hooks for hands in Lauren Baratz-Logsted's book Crazy Beautiful. Her Gallowglass is Lucius, she just doesn't know it yet. Lucius is starting his sophomore year as a new student, not because his parents got new jobs, or because they wanted to move. No, he's starting at a new school because he blew up his old house and lost his hands in the process. Lucius is brilliant, but he's a nobody, and now everybody thinks he's crazy. Aurora is also starting at a new school this year. But she's there to get away from memories that haunt her, memories from when her mother died. She and her dad are starting their new lives together at the high school. Aurora is a ray of sunshine - always looking for the best in people and being the kind of girl her mother taught her to be. She is beautiful inside and out. Crazy Beautiful is the tale of these two unlikely people who find their way through high school drama, and through their own personal pain to a sense of hope. Crazy Beautiful is a captivating book. It is written in parallel stories through Aurora and Lucius' eyes. Lucius is the kind of kid people hate to read about in newspapers. He's intelligent, but he's an outcast, and he's tired of being that person. So out of desperation, he turns to explosives to make himself feel better. It's a timely story in that regard. Aurora, on the other hand is the kind of girl everyone wishes they could be. She's beautiful, smart, talented, but most importantly she is beautiful on the inside. She's a model for teenage girls everywhere. As the story develops and Aurora and Lucius find their way through a new school, Lucius starts to change and develop into a person who is possibly less disliked by others, but more importantly, he develops into a person who he might just be able like as well. The author has not created a novel where readers will brush it off as fantasy, but instead she wrote a book that could really happen in every high school across America, and it's the kind of book that will bring a sense of hope to every teenager who has ever felt that life is more like a crisis than a picnic. Crazy Beautiful will have readers feeling pain, searching for hope, and overcome with emotion. It's the kind of book readers will read over and over again. We would like to thank Houghton Mifflin Harcourt for providing a copy of Crazy Beautiful for this review. Have you read Crazy Beautiful? How would you rate it?